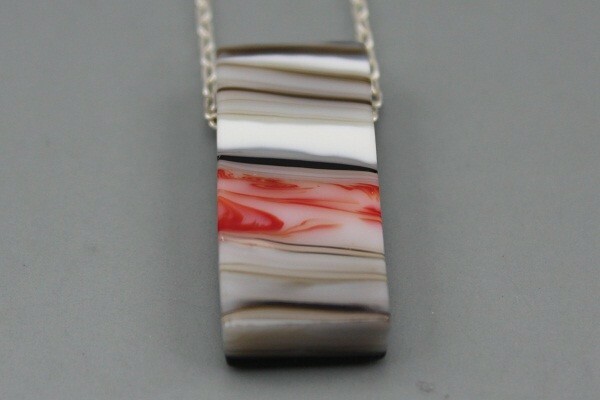 A fused glass pendant with the hole fused into the pendant so that it appears to float on the chain. 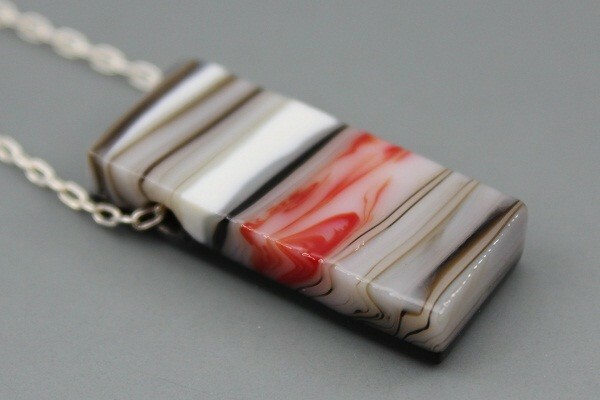 Layers of Bold coloured classic glass create this unique pendant. 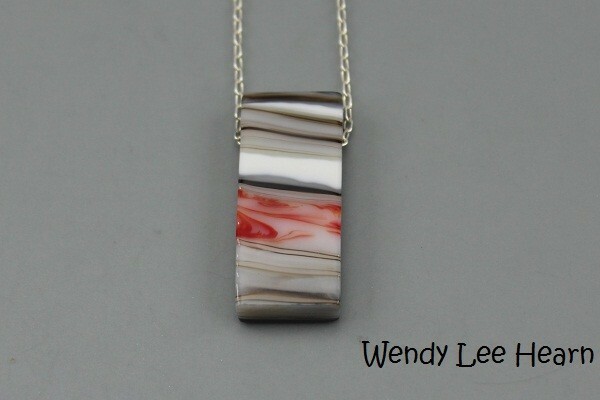 Pendant comes on a 45 cm sterling silver chain.